After water itself, tea is the world’s second most popular drink and is a ten billion dollar industry. All tea comes from the Camellia sinensis plant species and can be broken down into two separate varieties known as sinensis and assamica. Sinensis is grown in China and has smaller leaves that are adapted to grow better at lower temperatures. Assamica is grown in India and has larger leaves, which grow better in hotter climates. Although tea is grown today all over the world, China is considered its original birthplace. The main countries that consistently produce the highest quality and volume of tea today are China, India, Shi Lanka, Japan, and the island of Taiwan. Should You Switch to Loose Leaf Tea? 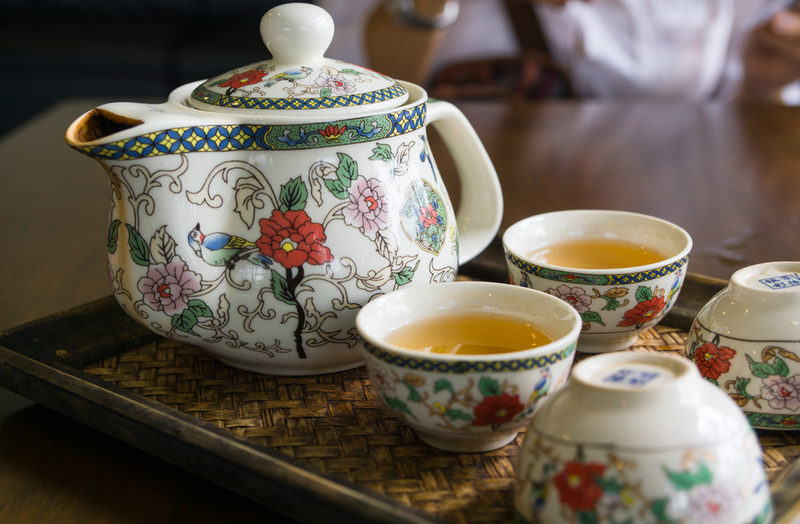 There are five main groups of tea: black, green ,white, oolong, and pu erh. The difference in varieties is due to the length of time that the tea leaves are oxidized, due to exposure to the air, and the different methods of processing, which can include roasting, steaming, or pan-firing. Black teas are probably the most common in today’s market. The most well-known are Assam, Darjeeling, Ceylon, and Keemun. Black teas are heavily oxidized and are usually bold, strong, and occasionally have a malty texture. Unlike white, green, or oolong teas, when black teas are processed, they are separated and graded. Some of the most popular variations of these are Orange Pekoe (OP), meaning a full-leaf tea, and Orange Pekoe BOP, which indicates the tea leaves have been broken. Generally, the more crushed or broken the leaves, the stronger the tea is when brewed. Black teas are the base of many scented teas, and are known as red tea in China because of its color after being brewed. Green teas are processed somewhat longer than white teas, but there is less oxidation, so the leaves remain green. 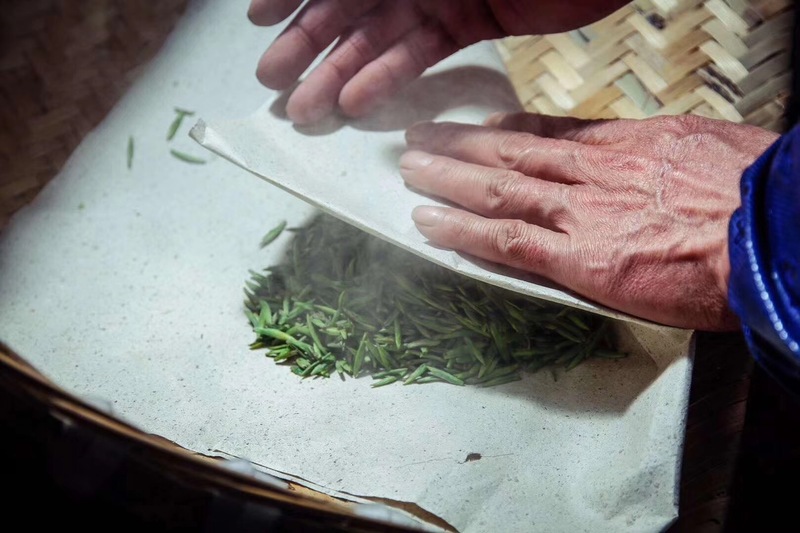 There are two basic methods to create green tea: steaming and pan firing. Chinese green tea is pan fired, and the leaves range in color from pale to a darker green. Well-known Chinese green teas are Longjing and Gunpowder. The flavor can vary over a wide spectrum including buttery, smokey, grassy, and even broth-like and savory. Japanese green teas are steamed and tend to be brighter and have a more vibrant color than pan-fired teas. This produces a brighter and more vibrant color compared to pan-fired teas. Well-known Japanese green teas are Sencha and Genmaicha. White teas have a subtle flavor and are very delicate and elegant to the tongue. White teas are processed the least and are simply picked, withered, and then dried. When the tea leaves are finished, they take on a soft grayish color and consist of only the bud and two top leaves from the plant shoot. The most popular white teas today are Silver Needle and Bai Mudan. Although white teas can be produced in several areas including Nepal and Yunnan, the finest white teas come from the Fujian province of China. Oolong tea is the most complex type of tea to produce. It is a semi-oxidized tea, and requires several different processing steps, with different variations within each step. Oxidation levels can be as low as ten percent, very close to green tea, or as high as 85 percent, which is close to black teas. The best quality oolong teas come from China and Taiwan. In making oolong tea, the leaves are usually rolled or balled up. Often, oolong tea can be steeped up to eight times, with each step designed to release a new dimension of flavor. In general, the more steps that are taken, the higher a tea’s oxidation level will be. Well-known oolong teas include Baozhong, Da Hong Pao, Jin Xuan, Dong Ding, and Tieguanyin. Each of the different flavors of oolong teas can vary greatly. But in general, an oolong tea will have a complex roundedness along with a taste that ranges from sweet and honey to creamy with a bold, roasted flavor. Pu erh tea is native to China’s Yunnan Province. It is fermented and available in two styles: shou/cooked and sheng/raw. After the leaves are oxidized, the leaves are aged at least several months and often as much as several years. Most of the pu erh tea sold today is prepared in a pressed cake form and stamped with the year of production. 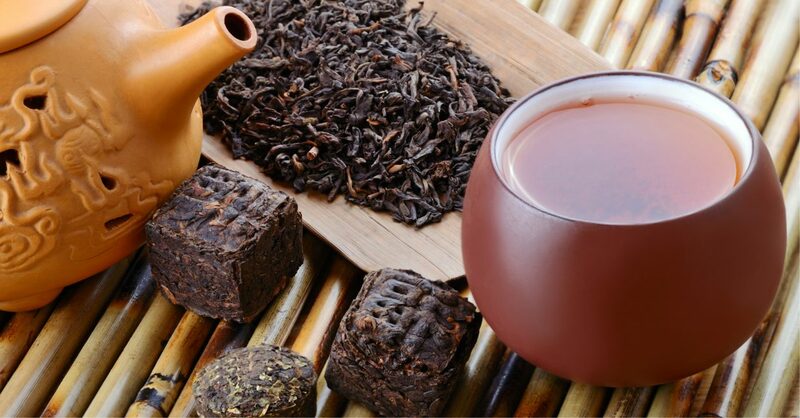 Extremely old and well-aged pu’erh tea cakes can cost tens of thousands of dollars when sold at auction houses. The flavor and colors of pu erh tea can vary from light to very dark and earthy. People around the world have enjoyed the taste and benefits of loose leaf tea for nearly 5,000 years. Today, tea is the world’s most widely-consumed beverage and its history and cultural importance are unrivaled. 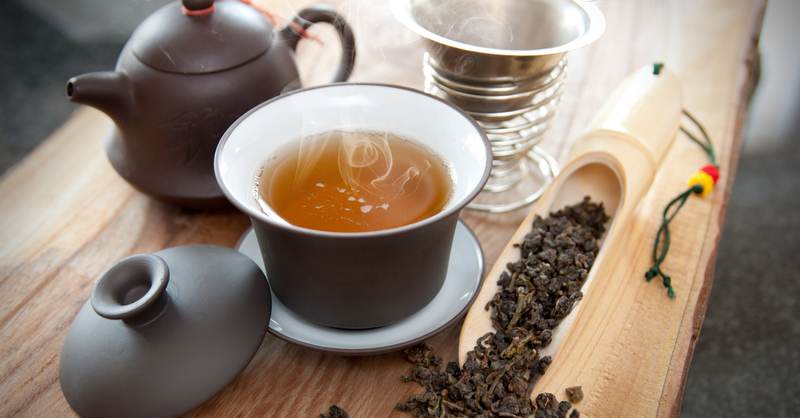 The story of loose leaf tea began in China around 2750 BC. By that time, tea leaves had been found to have quite a few medicinal properties. It is said that the Chinese Emperor, Shen Nung, discovered the taste of tea while sitting in the shade of a Chinese wild tea tree. The story unfolds that while he was boiling water to drink, a breeze blew a few of the leaves from the tree into the pot of boiling water. When he tasted the water, he marveled at how wonderful it tasted and how much he liked the delicious flavor. Shen Nung’s liked the flavor of his new tea-flavored water so much that he began to drink it regularly. It was then that he discovered that not only was the flavor of the water delicious, but it also appeared to have medicinal properties as well. Shen urged his Chinese friends to cultivate the plant so that his entire nation would benefit from the taste and medicinal properties of the tea. 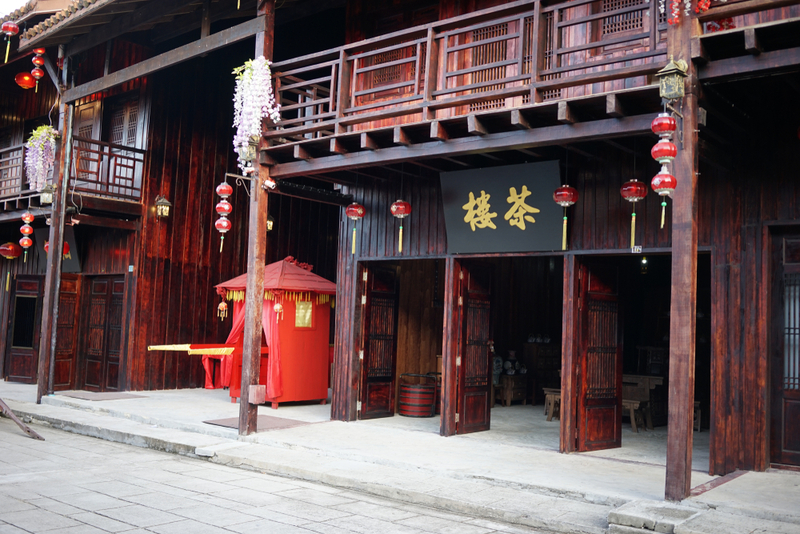 Over the following centuries, Shen Nung’s story has endured and he has become known as the legendary “Father of Tea”. As the popularity of loose leaf tea spread across China, the leaves were primarily picked and then boiled mostly for medical consumption. This was mainly because the brewing process produced a product that was somewhat bitter and that most people didn’t like. However, during the Tang Dynasty (from 600-900 AD), drinking tea became more popular due to the influence of Buddhism in China. Those who subscribed to and studied Chan (Buddhism) were required to refrain from sleeping or eating food during the night. But drinking tea was an exception to this rule, and therefore tea brewing and drinking tea often became quite popular. Another important factor in the popularity of drinking tea was the appearance of “tribute teas” for use in the Chinese Imperial Court. In the Dali 5th year of Tang (770 AD), Emperor Tang Daizong had government backing to produce tea for imperial court use. He instructed the governors of Hangzhou and Huzhou states to handle the supervision to process and transport tribute teas to the imperial court. Numerous forms of tea parties and tea ceremonies were held at the court and great importance became attached to tea production. Loose leaf tea became popular in the Ming Dynasty (1368-1644 AD). However, the green tea variety that was popular at the time did not keep well when traveling outside of China. In order to protect their crop, Chinese merchants began roasting the tea leaves to prevent them from rotting. The leaves that were left in the air oxidized to produce black tea (or red tea as it became known in China.). This tea was then set aside for export while the native green tea was kept in the country for local Chinese consumption. Dutch sailors brought tea back with them from China and introduced it to Europe in 1610. 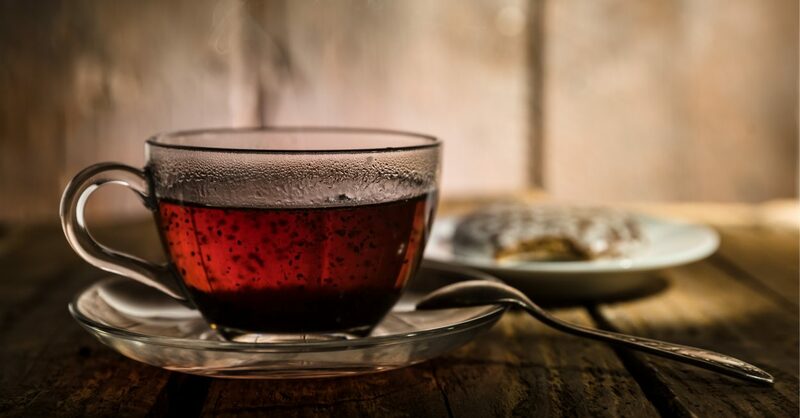 A few years later, around 1650, the tea was introduced in Britain and, in 1657, Thomas Garway, an English proprietor, introduced tea to the general public in his coffeehouse. It quickly became the most popular drink of choice, far outselling both wines and liquors. Soon the British government, which had been bringing in huge sums of money by levying a tax on liquor, realized that tea was replacing liquor as the country’s most popular drink. They quickly remedied the situation and began also imposing a tax on the sale of tea. In 1772, the British tax on tea caused problems in Great Britain’s American Colonies. Even though most of the other British taxes on goods being shipped to America had been repealed, the three pence per pound tax on tea remained in effect. This tax, along with other shipping restrictions, led to a popular revolt and the dumping of over 300 large chests of British tea into the Boston harbor. This action by the colonists led the British Parliament to pass a number of laws that limited the citizens’ freedom and eventually led to the American Revolutionary War against Britain and the establishment of the United States in 1776. Tea drinking became an essential part of British social life during the 19th century. “Tea parties” and other tea events including picnic teas, family teas, tennis teas, and even afternoon teas became extremely popular. Over the following years, British housekeeping cookbooks and household manuals and cookbooks gave specific instructions about the various teatime invitations, etiquette, the different ways to brew and serve tea, how to dress for the occasion, and the proper tableware to use. The “tea party” became the British symbol of prosperity and elegance. Many drinkers of tea often are concerned about whether to use loose leaf tea or take advantage of the convenience of tea that is measured and packaged in individual bags. The answer, according to the experts, is that the best loose leaf tea is always a better choice than using tea bags. Loose leaf tea is made primarily from whole, unbroken tea leaves. Teabags, on the other hand, usually contain lower grades of tea and often use accumulated dust and tiny remnants created when tea leaves are sorted and crushed during the manufacturing process. Since the dust and fannings of tea are smaller, there is a larger surface area and this creates more opportunity for the oils in the tea to evaporate and become stale and dull. As freshness is key to the proper preparation of tea, this can be a major issue with most tea bags, especially when they are packed in paper boxes. Loose leaf tea can seem somewhat overwhelming at first taste, but by visiting a friendly local teashop or logging onto an online tea retailer that has good product information, learning to find and brew the best loose leaf tea that you’ll love can be quite easy. The first step to take to make loose leaf tea is to consider what flavor profiles you like best in the tea you’ll be drinking and seek them out in a loose leaf tea. If you decide that you prefer black tea, try a black loose leaf tea. If you prefer flavored teas, try transitioning to a flavored whole leaf tea. Ask your local loose leaf teashop for their recommendations, or look over a few different companies on the web. Tea samplers and tea-of-the-month clubs can be a great help when you want to try out the taste of new teas. And be aware that some teas may contain synthetic fertilizers, herbicides, or pesticides. When in doubt, be sure to buy certified organic loose leaf tea whenever possible. Once you’ve decided on your choice of the best loose leaf teas, decide on the best way that you should brew it. There are many different choices, and some are considered better than others, for certain types of teas. And always have an open mind. If you are used to a flavored loose leaf tea, be sure to occasionally try one that is unflavored. It’s entirely possible that you might find that you prefer it after your palate has developed a keener sense of taste. Also, don’t be afraid to try different tea suppliers. 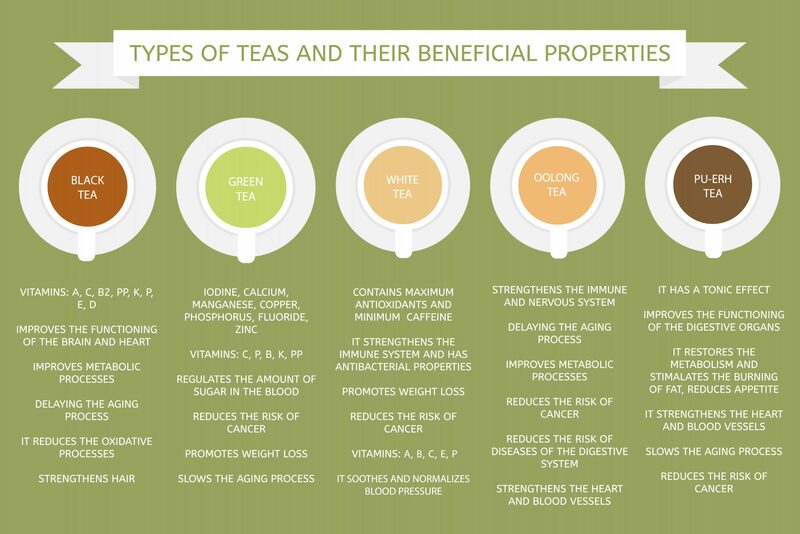 In addition, be sure to invest in better teaware, so that you enhance the tea drinking experience. Above all, simply follow the direction of your taste buds. By drinking what you love, and trying something sensible and beautiful to you, you will never look at teabags the same way. When loose leaf tea is brewed, there should be room for the tea leaves to naturally absorb water and expand. This allows water to flow in-between each of the tea leaves and the complete flavor of the tea can be extracted, along with the vitamins, minerals, and aromas of the tea. When steeping tea inside a teabag, the infusion process is limited by the physical size of the bag itself. Even packaging full-leaf tea into small porous bags does not yield a very flavorful cup of tea. For a number of years, the teabag industry attempted to adapt tea to use in tea bags by using small particles of tea instead of whole leaves. This process increased the surface area of the tea and the infusion rate creating a somewhat better brewing result, but still, it did not produce as good of a result as using whole leaves. Brewing loose-leaf tea also follows an age-old tradition, which has never included teabags. The best loose teas aren’t blended from one location to the next, while teabags generally combine teas from one location to another based on price and the final flavor profile the blenders desire to attain. Some specialty loose leaf teas originate from a single region, or possibly even a specific part of an estate. Its aroma, appearance, and flavor profile may vary from year to year and from season to season, thereby creating a far larger range of distinct aromas and flavors that are available from standardized blends. Tea connoisseurs around the world appreciate this wide depth and breadth of tea profiles and consider loose leaf teas much more appealing than teas that have been blended. Step 1 – Purchase the best loose leaf tea you can find from a trusted tea company. Step 2 – Read the instructions on the package of tea and follow the recommendations carefully. Usually, a single teaspoon of loose leaf tea is used for each cup that you wish to brew. Step 3 – Place the recommended measurement of tea in a teapot that contains a center strainer. As an alternative, you can use a loose leaf tea infuser which will provide a hassle-free brewing experience. In the event that you cannot find a teapot that contains either a strainer or a loose leaf tea infuser, simply place the loose tea leaves inside the teapot and then strain the tea after it is brewed. Step 4 – Boil using either fresh or filtered water. However, do not use “hard” water which will contain minerals that will change the taste of the tea. If you are brewing green or white tea, bring the water just to the boiling point without it actually boiling. If you are brewing herbal or black tea, bring the water to a rolling boil first. Step 5 – Follow the recommended times to steep the tea. This can be varied depending on how strong you want to tea to be. Usually, black tea should be steeped for between 3 and 4 minutes, loose leaf green tea for 2 to 3 minutes, and white tea should be steeped for between 4 and 5 minutes. If you are steeping an herbal tea, follow the directions on the package or steep the tea for up to 10 minutes. Step 6 – After steeping the tea, pour it into your favorite cup. Step 7 – Sweeten your tea if needed to suit your personal taste. A few drops of lemon or honey will enhance the flavor of some teas and is especially recommended for loose leaf green tea. Rather than using granulated sugar, some may prefer to add the taste of fruit or walnut preserves, or even rose petals. Be careful not to over-sweeten any tea and consider not sweetening white tea as some may prefer it unsweetened. Step 8 – Store loose tea in a tightly-closed container in a dark, cool area like a pantry or cabinet. Step 9 – Drink tea and enjoy! Whether you chose black, white, green, oolong, or pu erh loose leaf tea as your favorite drink, you can be assured that you’ll be joining billions of others worldwide who also enjoy the special treat each day of their lives consuming loose leaf tea, the world’s second most popular drink!